We've all heard of scrapbooks, but many of us have never actually ventured into the hobby of scrapbooking. A scrapbook is a creative collection of photos, magazine clippings and many other odds and ends that you can tape, paste, laminate, or otherwise put into the pages of a book. With so many of us having digital cameras in our cell phones and so much being done online, scrapbooks aren't as in vogue as they were. Still, scrapbooking is still a fairly popular hobby. In fact, scrapbooking is even a growing hobby. It's still a great way to take a “trip down memory lane” as they say. What Do You Need to Make a Scrapbook? All you need to create a scrapbook are some simple supplies and a little bit of creativity. They're a great way to commemorate special days or big events. But they can be created around anything that's dear to you. Scrapbooks make great time capsules. They can also make great gifts. Am I Creative Enough to Create a Scrapbook? If you're not sure where to begin with creating a scrapbook, there are many DIY scrapbooking guides and kits. Many are of these are inexpensive and can give you a headstart depending on what you're trying to do with your scrapbook. It's even possible to hire someone to create a scrapbook for you. But it likely wouldn't have your personal touch, and personality is what makes a scrapbook special. Anyone is creative enough to create one. You just need to have the time. Where Can You Learn Beginner Scrapbooking Techniques? Being a fast-growing hobby, there are many resources available for beginner scrapbookers. There's many different options available depending on the level of commitment you want to give to scrapbooking. Everyone has different goals for scrapbooking. You may just want to preserve family photos in an attractive way. Perhaps, you may want to create elaborate time capsules to enjoy later. Or, you want to save anything you can concerning a particular interest. Then again, you may just want to take on scrapbooking as a hobby and help others create their own scrapbooks. Like any hobby, scrapbooking can be as simple or as complex as you want it to be. Local craft stores are a great resource for beginner scrapbookers where you can get an idea of where you want to go with the hobby. Some craft stores when specialise in scrapbooking, with staff who can point you in the right direction with tools and supplies. Are There Good Scrapbooking Classes for Beginners? Many craft stores offer scrapbooking classes for all skill levels. These classes feature the latest scrapbooking materials and techniques so you can keep up on the best things in the hobby. It's also a great way to meet with and learn from other scrapbookers. There are also project classes in which you can complete an entire scrapbook from scratch. Scrapbooking classes are usually available for a reasonable cost. Most provide all the necessary tools and materials, so you can try out scrapbooking with minimal financial investment. What Do I Need to Bring to a Scrapbooking Class? Typically for a scrapbooking class, you'll need to bring several photographs for use on your page layouts. Scrapbooking teachers are enthusiastic and experienced, trained to teach all levels of scrapbooking techniques. They can answer any questions you might have about scrapbooking. It's common to see experienced scrapbookers in these classes. Some people take them just for the social aspect of the class. Even the most experienced scrapbookers are looking for new ideas on how to use basic techniques more effectively. To find a class in your area, check with large chain craft stores. Also, check your local scrapbooking stores. Most stores offer classes with convenient schedules. Many classes can be started any time. Can I Learn Scrapbooking At Home? You absolutely can learn beginner scrapbooking in your own home. There are direct sales companies, such as Creative Memories and Close to My Heart, who have consultants that can come to your home. These consultants give a class on basic scrapbooking. These scrapbooking classes are much like a Tupperware party. You invite friends and family to your home for a scrapbooking lesson. The consultant teaches the basic philosophy behind scrapbooking, how to choose tools and supplies, and how to design a simple page. Together, you, your family, and your friends will usually make a two-page layout. It's made with materials supplied by the consultant and photos brought from home. The best part is that consultants may or may not charge for the lesson. The cost depends on the cost of the supplies used for the pages. How can a lesson cost you nothing? Each in-home lesson usually ends with an opportunity to purchase the company’s products. Essentially, it's a sales pitch. Likely, someone will want to buy something, which makes the class worth the consultants time and the company's money. What Are Scrapbooking Album Kits? Album kits are great for beginner scrapbookers because they are complete with all the supplies you need to make a scrapbook. They provide detailed instructions and sometimes even basic color and design layout theory. But, to complete the album, you’ll need to buy your own tools, such as scissors and adhesives. Should I Look Into Scrapbooking Magazines? Scrapbooking magazines are a great resource for beginner scrapbookers. They are often full of information on basic scrapbooking techniques and tips. The most popular scrapbooking magazines are Creating Keepsakes, Simple Scrapbooks, Memory Makers and Scrapbooks, Etc. To get started with scrapbooking magazines, buy or borrow a single issue of each magazine first. Each magazine approaches scrapbooking from a somewhat different angle. For example, Simple Scrapbooks focuses on quick, easy scrapbook pages. Once you find a magazine that seems to match your style, you can buy the annual subscription. This is always more cost effective than buying single newsstand copies. What are Scrapbooking Crop Nights? 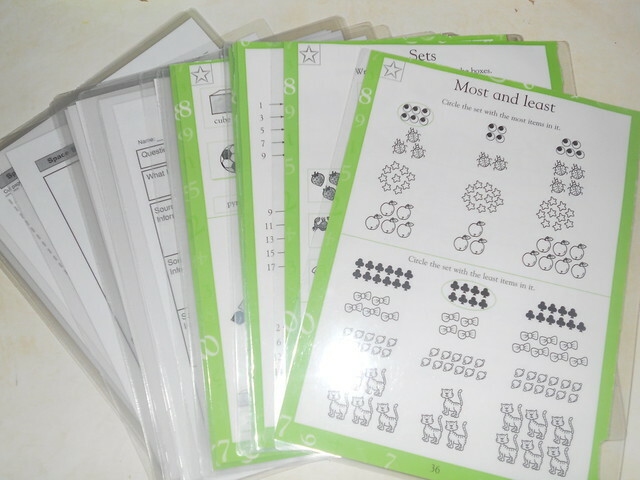 As you learn about beginner scrapbooking, you may hear about crop nights. They are essentially scrapbooking parties, and many craft stores offer them. Crop nights Bron together scrapbookers of all ages and skill levels to work on scrapbook pages together. Craft stores who offer crop nights usually charge a small fee, mostly to cover the cost of refreshments served during the evening. Many stores even will allow you to use their tools during the crop night, too. It's a great way to try out more expensive tools such as die cut machines and cutters. Crop nights allow everyone to share techniques and offer beginner scrapbookers with many tips and ideas. You don't even need to go to a store for a crop night. You can have a crop night in your own home. After I Master the Basics of Scrapbooking, What Next? After you learn beginner scrapbooking, practice your techniques often. The more pages you make, the better you will become at designing layouts. Then, even as you master the basics, you can use the same resources to find more advanced tips and techniques. Just like with any hobby, you can never stop learning with scrapbooking. Bring in a few cheese graters and have some of the students help you grind up all of the crayons. You can separate the crayons by color and place each color in a separate Tupperware container. You can also have a container for a rainbow color. Get out a piece of paper and a black marker. Draw a picture or a scene, but only draw the outline of it. This picture would depend on the age of the children in your classroom. Smaller children may appreciate a picture of a butterfly or an animal that has many colors. Older children may need a whole scene such as a garden or field of flowers. Just make sure the scene lends itself to using plenty of colors. A frog would not be a good idea unless all of the crayons you have are green. Make copies of the picture you drew. There should be as many copies as you have students. Hand out the copies and have students sit around a table that has all of the crayon shavings on it. Teach the children to glue one section at a time and then place crayon shavings on it. Do this until all of the sections are complete. Wait for the glue to dry and then allow the students to take the crayon shaving pictures home..
​Note: This article previous appeared on the Yahoo Contributor Network. With this fun craft, you don't need to worry if the kids eat the paint. You also don't need to be as concerned about harming the environment. Learn how the kids can create leaf prints using homemade milk paint and recycled materials. This eco-friendly craft can be done by even the smallest kids with parental assistance. Before starting with the craft, have some nature fun with the kids and let them gather fallen leaves from around the yard. Instruct them to find leaves of various shapes, sizes, and textures. That will make the artwork more interesting. The first part of the craft involves making the milk paint. Kids can easily help with this, depending upon age and ability. Simply mix powdered milk and water until there is a thick pasty texture. It should be about the consistency of yogurt or pudding. In one bowl, add blueberry juice until the color is the tone you desire. Do the same in the other bowl with the beet juice. The beet juice will create a reddish paint color and the blueberry juice will create a bluish-purple paint color. To darken the color, simply add more juice. Once the paint is made, kids can each be given their own recycled paper to paint on. The coloring for the paint involves dyes that can stain clothing. Be sure the children have on play clothe or aprons. The kids can use soft leaves as paintbrushes by rolling up the leaf and dipping it into the paint. Leaves can also be dipped into the paint and pressed onto the paper to make leaf print designs. Some kids also may choose to blend the two concepts together. Once the children are done, set the leaf prints and paintings aside to dry. Some also may want to frame their works of art. Eco-friendly frames can be created with sticks adjoined by vines or fallen branches. These are sturdy, but easy enough for kids to make or help with. The frames can be hung by attaching and looping sturdy vine to the top. Even once the vine is dried, it can still make a great frame hanger. Are You Getting Ready for the Superbowl With Your Kids? Do you need some help explaining the game of football with your children? Try reading some of these books available at Amazon.com." It's that time of year, and fans of an American favorite-football-watch games with fervor and passion. For many families, sports and time together are intertwined, and sharing in the excitement of the game is a beloved weekend tradition. Whether you are watching college or professional league games, there are decorations, activities, and food to be prepared in honor of football's weekend excitement. Try these general ideas to get the family into the spirit:-Make football pennants by cutting elongated triangles out of felt or paper. Decorate with your team's colors. Use all kinds of paint markers-some with texture and glitter. -Invite the kids to make paper chains using your favorite team's colors. -Cut a football shape into a potato or sponge, and decorate a plain green tablecloth with ball prints. Make sure you use fabric paints. You can also paint white lines on the cloth so it looks like a football field. -Cook up your favorite chili; serve with the all-American hotdog and make some spicy popcorn by adding a small package of dry taco seasoning to your popped corn. You can even fold in some dry-roasted peanuts for an added crunch. -Do some football player exercises. Jump and click heels together, run in place, and do jumping jacks. Photo courtesy of Tania Cowling, all rights reserved. Tania K. Cowling is a former teacher, a published book author and award winning freelance writer. She has published many articles online and in regional magazines across the country. Her writing niche is in parenting, early childhood education, lifestyle, crafting with kids, and health related articles.